As is the case with any private practice, physical therapists often find it difficult to drive traffic to their websites. Implementing a solid SEO strategy is an important step toward this marketing goal. 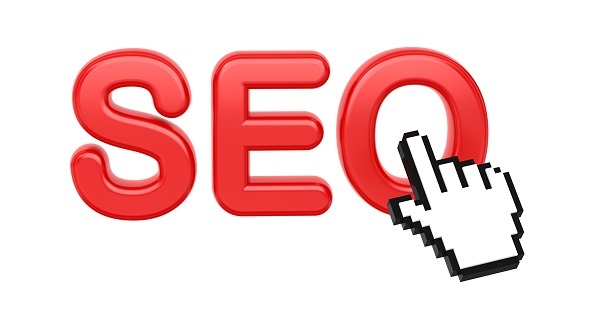 Although search engine optimization is a relatively new field and navigating this online world can be difficult and intimidating, the benefits from a strong set of SEO practices far outweigh the challenges and confusion. While guidelines concerning SEO are constantly evolving, there are a few simple things that every physical therapy practice can do in order to boost website traffic. With these four SEO tips for physical therapists, you can avoid headaches, focus more time and energy on your patients, and bring more positive attention to your practice’s online presence. As you may know, Google has some very detailed terms and conditions that are intended to discourage spam, cheap links, and automated blogging and posting tools. By focusing on the quantity of your posts and links, your approach may be counterproductive. Instead, make a serious effort to include helpful, informative statements in all of your online content. Not only will this help you to avoid any red flags, but it will also engage your potential clients, who are seeking a thoughtful personality behind the advertising. While your official website should never become the sole focus of your marketing campaign, it is often the centerpiece and the first impression you make on your patients. In this sense, SEO for physical therapists is an opportunity to showcase professionalism and a personal touch to those seeking the best quality rehabilitation. The website needs to be welcoming, engaging, simple to navigate, and impressive enough to make someone stop for a few minutes and feel hopeful about the possibilities. If you focus on high-quality graphics and content for your site, people will feel confident in sharing your page with their friends and family. A good SEO team is vigilant in tracking and analyzing the data that indicates what is and is not working well with your SEO practices. Many companies find that reading and responding to these reports is too time-consuming for their internal marketing personnel to handle on their own, and Farotech is a great example of how a dedicated SEO team can help you boost your online presence while you focus on your other priorities. We would love to help you in this new and unfamiliar territory of SEO, and we have a plan that meets the needs of your physical therapy practice. Especially in a therapeutic vocation, you want to make your clients feel comfortable and valued. When people share a common interest, concern, or experience, an online community can begin to form, as long as there is space and an opportunity for people to express themselves. A space for comments or reviews on your website and blogs is a great start. Asking the right questions with your social media posts can be a great way to solicit personal feedback. And did you know you can embed your Twitter feed on your website? It’s a great way to encourage a conversation about your practice! The more you make your patients feel like they are part of a community, the more likely they will be to share your page with their family and friends online. With these four simple SEO tips for physical therapists, you can take your practice to the next level by engaging patients and boosting your online presence. Call Farotech today to see how our custom plans for SEO for physical therapists can vastly improve your business. We look forward to partnering with you on your path to greater success!